As far as change management challenges are concerned, Galileo Galilei was faced with one of the toughest ones going. Unfortunately for him, it didn’t go too well. Between 1615 C.E. and 1632 C.E.,debate was raging about whether the long-held view first put forward by Aristotle was still a valid one, that the Earth was the center of the universe. 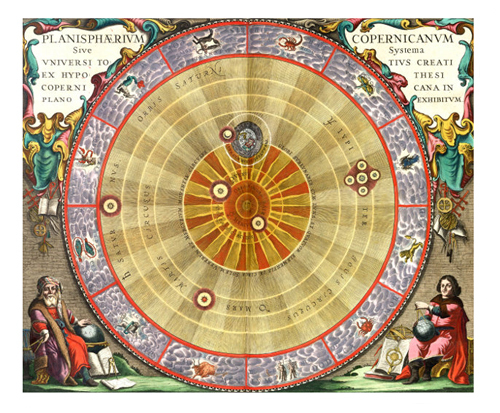 As an alternative, theories that had been developed by Nicolaus Copernicus between 1511 C.E. and 1546 C.E. were suggesting it was the Sun around which all else orbited, an idea that was known as ‘heliocentrism’. Galileo, who was called the ‘Father of the Scientific Method‘, defended heliocentrism. It was a stance that set him against the perceived teachings of contemporary scripture generally, and against Pope Urban VIII, who was Pope at the time, in particular. 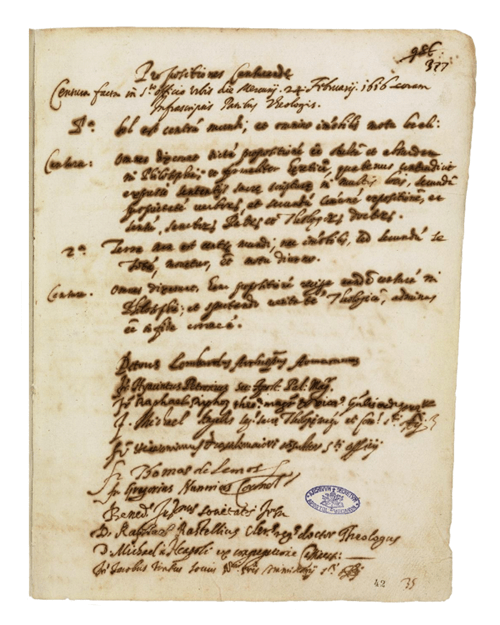 In 1632 C.E., an Inquisitorial commission in Italy declared heliocentrism to be ‘foolish and absurd in philosophy, and formally heretical since it explicitly contradicts in many places the sense of Holy Scripture.’ This is a copy of their original pronouncement. Faced with a changing world view (quite literally in his case), Pope Urban and his Inquisition reacted out of anger and fear. Galileo was put under house arrest, which is how he lived until his death, a few years later. This is a classic story about the clash between faith and science, facts and beliefs. Yet, we know today that a changing world view is part of life. Without ideas, innovation cannot exist. New knowledge is continually causing us to revise previously held assumptions as we evolve. An exponential rise in human possibility is being created from code that asks us to be teachable. As the world gets more wired up and connected, a human ability to learn and adapt, using initiative and all the information and frames of reference available, is an important part of our response to it. That trade-off between facts and beliefs is in some ways a distraction, too. Because, at its core, emergence is neither one nor the other. It is a next-generation synthesis of both, reconciling the previously unreconcilable, going beyond them and ushering in new horizons that had been unimaginable before. When entrenched views and methods are challenged by emerging ideas, it can be hard to give up old assumptions and respond to them positively. But if we were still thinking the earth was the center of the universe, imagine how much of the last five centuries of progress we would have been missed as a result of that rigid thinking. Holding onto industrial economy ideas in a connected age is very similar. With code, we have an altered orbit. It is asking us to think about how we revolve around it in ways that are fit for today’s age. We are, of course, enameled of the picture of the lone voice speaking truth to power. I wonder how many people, though, were lined up behind Galileo, albeit invisibly, silently. I’ll wager it’s a largish percentage. One point: “a stance that set him against the teachings of the Bible”. Not even remotely. Only against the forced overly literal interpretation of a tiny handful of scriptures. Regarding declarations to truth by those in power, I find a mathematical parallel informative. If, in establishing the parameters of a problem I declare, for instance, this angle and that angle to be equivalent, all is well. If, however, I declare a square and a triangle to be equivalent, Pythagoras will start serving the hemlock daiquiris. The smarter we get, the harder it seems to remember which truths we can safely aver and which we’d best not deliver with a bludgeon. Very good points, Joel. I will alter the text to make it clear it was perceived transgression against a narrow interpretation of scripture, and thanks for your comment. Given none of us have the whole picture, mathematical parallels are a helpful reality check, yes.